They are used for meditation and holistics therapies. The singing bowls are made of an 7 metals alloy. This Tibetan bowl measures about 20 cm in diameter, and its weight is about 1200g. 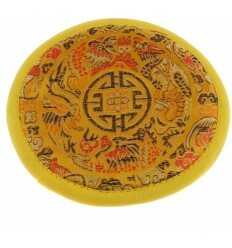 Hand-made in India, it is sold with its wooden stick and felt.